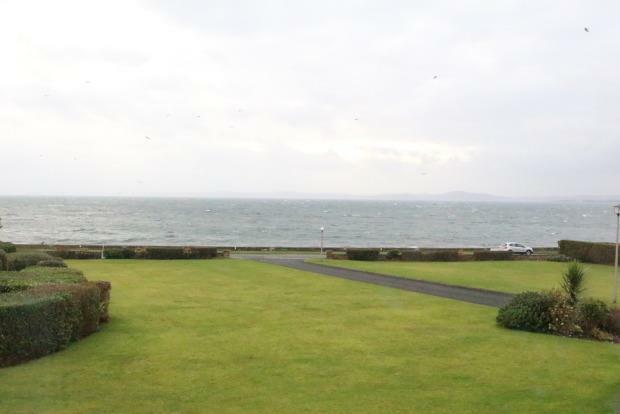 2 Bedroom Ground Flat Apartment To Rent in Wemyss Bay for £550 per Calendar Month. This modern apartment on the ground offers panoramic views across the Clyde. Security entry into a maintained stairwell. The flat offers entrance hallway, bay windowed lounge, modern fitted kitchen with light wood style wall and base units, complete with fridge, freezer, washing machine with an electric hob and oven. Both the master bedroom and second bedroom offers fitted mirrored wardrobes. This property is also further complemented by the modern shower room. Gas central heated, double glazing, resident off road parking spaces. Excellent private road location. The village of Wemyss Bay offers close access to many areas of Inverclyde. There is local shops and restaurants along with excellent nursery and primary schooling.